Mystic Voices Sound Pack | Create Your Own Game! Feel the power flow as you listen to spells recited by skilled mages! 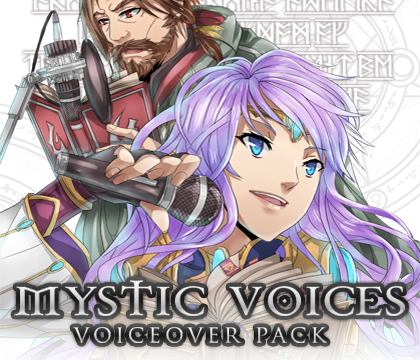 Mystic Voices is a unique pack comprised of sound files that can be mixed and matched to simulate vocalizing spells. Created by Murray Atkinson, this pack includes a large variety of Latin words that can be used for spell names, special attacks and more. 816 sound files, divided by character type. Latin words for creating spells, including inflections going up or down - making each component useable at the beginning or the end of the spell..